Batman super fans know Michael Uslan’s name, but if you don’t, you should. He’s the reason we got our first Batman film. After obtaining the rights in the late 1970s when no one else wanted them, Uslan fought hard to get the Tim Burton film made. Since then, he’s been either a producer or an executive producer on every on-screen Batman project out there. 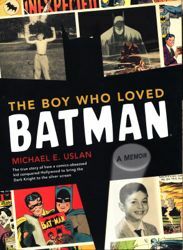 If you’re a Batman fan and you haven’t read his memoir “The Boy Who Loved Batman,” go out and get it right now! Check out what he had to say about Batman’s history, the people behind it, the new film and which superhero he’d love to take on. SuperHeroHype: When we spoke recently, you told me about the movement to get more recognition for Jerry Robinson and Bill Finger… How do you feel about that? What sort of things are being done? Michael Uslan: Well, first of all, I’m very, very supportive of Athena Finger and the family. And this was something that Jerry Robinson experienced and I was very happy to see how much he was included in The Dark Knight and The Dark Knight Rises. He was flown over to England and had a chance to be on the set, but you know all these things are great when they happen. And in terms of Bill, I am probably one of the few people left standing who met Bill Finger. I met him on two occasions when I was a kid. Once at the very first comic book convention ever held, which, I can tell you, next week will be fifty years. So, I met Bill fifty years ago next week. I was introduced to him – did I ever tell you this story? Uslan: My mom and dad took me and my friend Bobby Klein – we were partners in our comic book collection – to the first Comic Con. It was July 1964 in this fleabag hotel in downtown New York. There were 200 of us at the first Comic Con. And as we got there to this broken down place, we literally had to step over a guy who was unconscious drunk in the lobby. We get up to the desk and see roaches crawling on the walls, and my mom says, "Turn around; we’re out of here." So in a panic, I appealed to the Supreme Court; my dad. It was probably my first heart-to-heart/man-to-man talk with my dad, and my dad kind of talked my mom down so that she finally went along with it. And as my dad said to her, “what did you expect for three dollars and seventy-five cents a night for a room?” So as we checked in – and it must have been ten o’clock in the morning, my mom gave me and Bobby permission to take the elevator to go upstairs into the comic book convention, her last words being “don’t touch anything.” And as Bobby and I walked through the lobby, off to the right hand side was the sketchiest bar you can imagine. And there we see Otto Binder sitting with another man. Uslan: The other time I met Bill was also around when I was thirteen. Whenever we had a day off from school – I forget if it was a Tuesday or a Thursday – DC Comics had a weekly tour in the afternoons. So whenever possible, we’d convince my mom to take us to New York and we would go on the DC tour. On my very first DC tour, they let us walk around the production bullpen area at 575 Lexington Avenue. And they’d given out these pictures – like color portraits of Superman and other tchotchkes we could take home – and I went around from table to table, asking each person there to sign. Now, understand this was in an era where there was no internet, there were no Comic-Cons, so we had no idea who people were, or, particularly, what they looked like. And I went around and this one guy I recognized as my favorite artist at the time – Murphy Anderson, because he actually had some of his work signed – he signed it, then I went over to another guy who was sitting there, and he was writing, and he signed it, and it was Bill Finger. So I actually have Bill’s autograph and I reproduced that in my book, "The Boy Who Loved Batman." So that’s how far back I go, just in retrospect. I think what everybody needs to do is just step back, if there’s any deliberation to be done, any controversy, any decision making to be made as to who is responsible for the creation of Batman. I never answer that question with a statement. I answer that question with a question. 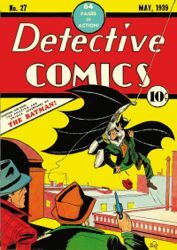 And my question to anybody is, okay, if Bob Kane created a character called Birdman and later changed it to Batman, and presented it to editor Whitney Ellsworth, then Sullivan over at DC Comics, showing a guy in a red costume, with a little what we call a domino mask (kind of like what Robin wears), with real bat wings coming out of his back, um, what is that? What is that? Then Bob met a writer at a party, and got together with Bill Finger. Bill took a look at the drawing and said, “This is cool, I understand there’s this guy Superman out and they want another superhero,” and Bob thought it would be a great idea if he was human instead of really super-powered, so he said “Let’s get rid of the bat wings. That doesn’t make any sense. Why don’t you just give him a cape that’s scalloped to look like bat wings?” And then he said, “Well he’s a bat; bats are nocturnal, so instead of dressing him in red, why not dress him in black and dark blue and grays, and bats are mysterious, so instead of that little mask, why don’t you give him a complete cowl with a nosepiece and bat ears coming off the top? And so Bob Kane went back and redrew and he said, “You know, I’m a big fan of the fandom in the comic strips. One of the reasons he looks so mysterious is that they’ve whited out his eyes without whiting out his eyes.” He worked out if you gave him – ultimately he said bat things coming out of his gloves, and they talk about the utility belt. And finally Bob had a drawing and he said, “This looks great. So who is he and what’s his story?” And Bob had not yet thought that out. So Bill Finger said, “All right, we’ll call him Bruce Wayne, and that goes back to Mad Anthony Wayne and Robert Bruce. We’ll put him in a city,” and Bill eventually called it Gotham City and eventually gave him a car, which eventually became the Batmobile. And he asked again what his story was. So Bill eventually wrote a story in which young Bruce Wayne is walking at night with his parents and the parents are murdered and the young boy vows over his parents’ bodies that he will get the guy who did this, and as they say in the comics, thus was born this weird creature of the night, this avenger of the night; the Batman. So I now turn to you and I ask you, who are the creators of Batman? SHH: Wow. Yeah, I’d say that’s a pretty good case. Uslan: I make no case; I only ask questions. SHH: You ask good questions. But that’s awesome! You know, I’m curious about what Jerry Robinson thought of The Dark Knight, considering what he had to do with the Joker. Uslan: Jerry loved it. He absolutely loved it. I miss him dearly. Our last time doing our dog and pony show together, Jerry and I spoke at the United Nations. And I have pictures from that; it was so memorable, and I told you about that night at the premiere of The Dark Knight with Jerry. And to have him; he meant so much to me – have him turn to me with tears in his eyes and say “This is the greatest night of my life” – that was incredible. An incredible moment. And to have his name on it as a creative consultant… It was just a great thing to see, especially since he was there, unlike Bill Finger who died penniless in 1974. 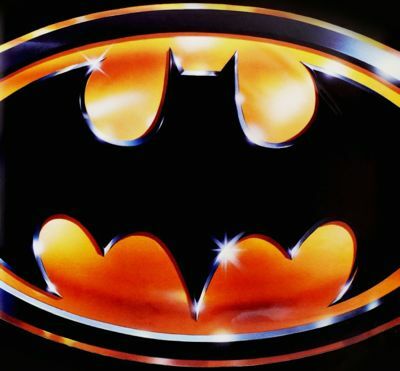 Head over to page 2 to hear Uslan talk about the rise of superhero movies with 1989's Batman!